The mobile platform is largely still an unexplored land. The possibilities of the platform itself are still largely unknown, but there is a few shining examples of mobile games that push the platform to new and exciting places. 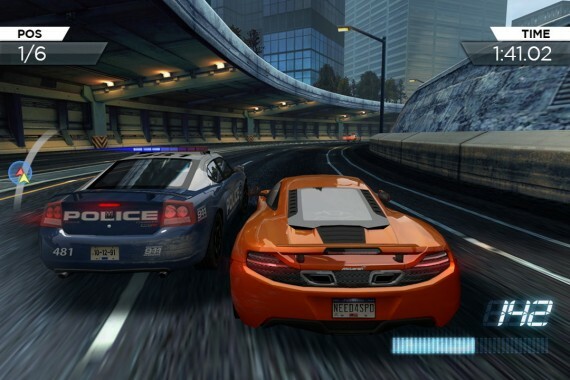 Need For Speed: Most Wanted Mobile is one of those titles. It is an exciting game that highlights what looks to be a bright future for the platform as well as shows us how you bring a full console game to mobile without losing the spirit of it’s counterpart. So how exactly did Fire Monkey manage to create one a game that should be on any mobile gamer’s ‘most wanted list’? The thing that immediately stands out about Need For Speed: Most Wanted Mobile is that it looks and feels like a game that is bigger than it truly is. Although the game is not open-world like it’s console counterpart, you never feel like you are being confined, there is a sense of freedom that does not often come from standard racing games such as this. Although you are placed in races with a set start and finish and a path to follow, Fire Monkey make each track feel very open and spacious giving you the feel of open-world gameplay even though it isn’t in fact so. This sense of freedom works well in a game that ultimately is best suited for casual play. In terms of racing this is probably the best to hit the mobile platform both graphically and gameplay wise. The control scheme is very simple and allows for quick and addictive gameplay. You play simply by tilting the device in order to steer your vehicle which is automatically accelerated. You can also activate NOS by swiping up on the screen, this is easy enough and the steering is tight enough that you don’t feel like you lose all control whilst using it. There are a variety of different race types to partake in, some of which involve police interference. For example in street races you may be chased by a police car mid-race which you are then required to take-down and boy oh boy does taking them down feel good. After being locked in a struggle with a cop car for most of the race and you finally slam him out of commission it is truly a good feeling and one of accomplishment. Besides the street race there is also your standard timed races and all other manner of challenges to partake in. Like many mobile games there are leaderboards and different acheivements to unlock through playing. You can also of course unlock and purchase new vehicles to race in. My only issue with this is that there does not appear to be much difference between vehicles other than aesthetic appearance. For example you could race as any car and there would not be any great difference in the gameplay. You can purchase items and cars with both in game cash and real currency. I personally am not a fan of games with their own stores, but it seems to be a mainstay for many mobile games and it is present in Need For Speed: Most Wanted Mobile. Thankfully there isn’t any necessary items or vehicles locked away in the store. All in all it is an incredibly addictive game that will keep you hooked but there is one major issue that holds back the experience significantly and that is the troublesome loading times. The game takes at least 30+ seconds to boot up and often takes 10+ seconds to load races. I understand this is a mobile game but these loading times are tedious and numerous. They are one of the only bad portions of a game loaded with good. 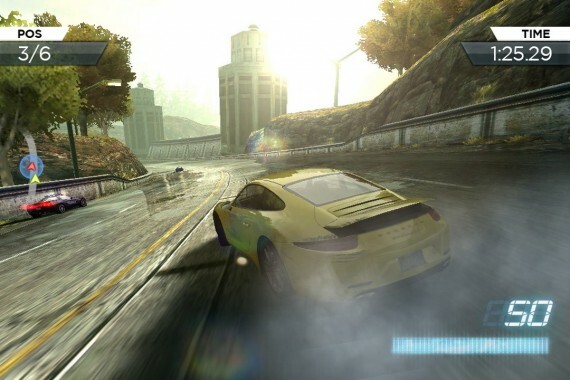 Aesthetically there is not much better than Need For Speed: Most Wanted mobile on the mobile platform. The environments are gorgeous and look little different to that of it’s console counterpart which is a feat in and of itself. There is an incredible amount of detail put into this game visually, with cars taking on visible wear and tear as well as light reflecting accurately off the vehicle. This may seem like minor things but it adds oodles to the overall feel and immersion of the title. It is simply one of the most jaw-dropping visual experiences to be witnessed on the mobile platform. The game’s soundtrack is decent, but not great. Most of the tracks feel generic and don’t add much to the atmosphere of the game and are more often than not drowned out by the sound of vehicles which is honestly a little too loud in comparison to the backing tracks. I could not find an option to adjust this, but it is not too big of a problem as you will most likely be too busy enjoying the addictive gameplay to notice. It really could have been a little bit better though, but unfortunately it just feels very uninspired. 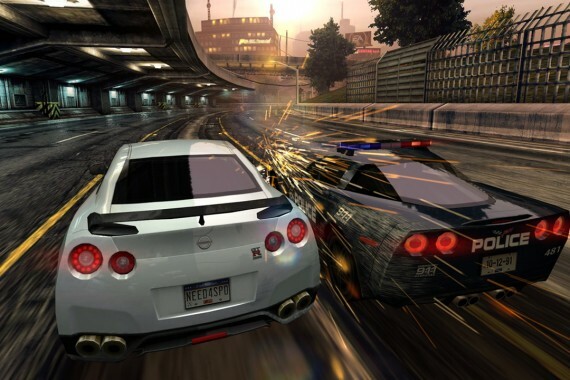 Need For Speed: Most Wanted Mobile deserves a place on any gamer’s most wanted list. It makes major strides for the platform and successfully adapts the spirit and feel of it’s console counterpart for some quick fast and addictive casual gameplay. 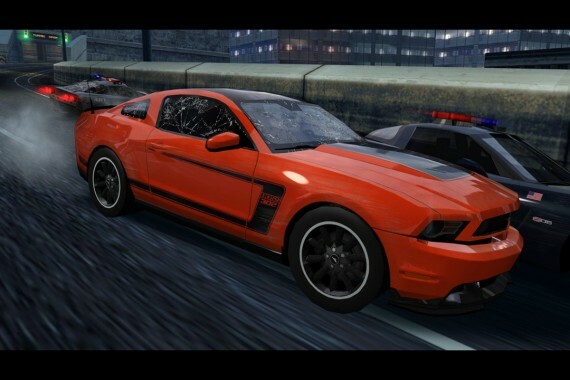 If you are looking for a game for your mobile, look no further than Need For Speed: Most Wanted, despite a few flaws it is truly one of the best games available for mobile devices.